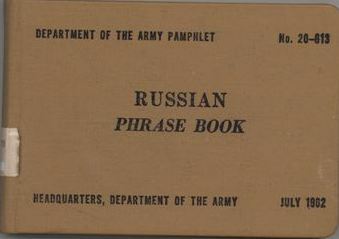 Submitter: It’s a Russian phrase pamphlet that dates to 1962, a few mos before the Cuban Missile Crisis! 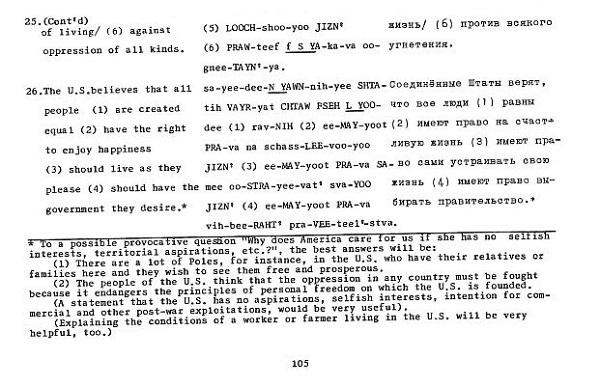 The phrases in here are a combo of what they probably assumed was Russian peasant-speak & propaganda! PRICELESS!!! This book was unearthed in our collection by my boss who has a natural talent for finding such items. Holly: Love this! Yours might have been the last owning library, though. WorldCat doesn’t show any more 1962 edition holdings (and only two of the 1975 edition – one in Germany and one in Sweden). Here’s to ridding the world of one more awful library book! Next Post:Betty White is awesome! 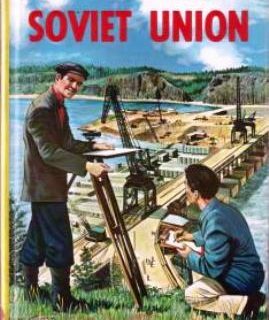 Should we tell the children that the USSR is no more? Regarding number 2 on pg. 91: Hyenas? Really!? How often are you going to be in Russia looking for hyenas? You certainly read our leaflets. Is there any hyena in this area? Gold. Are there many hyenas in Russia? 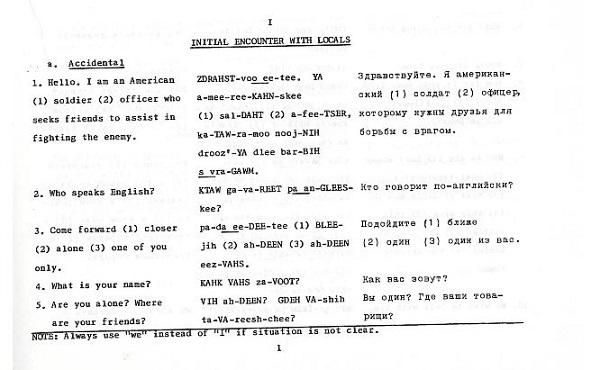 Well-intentioned, sure, but hideously patronising both to Russians and the readers of the textbook. I found that strangely charming. 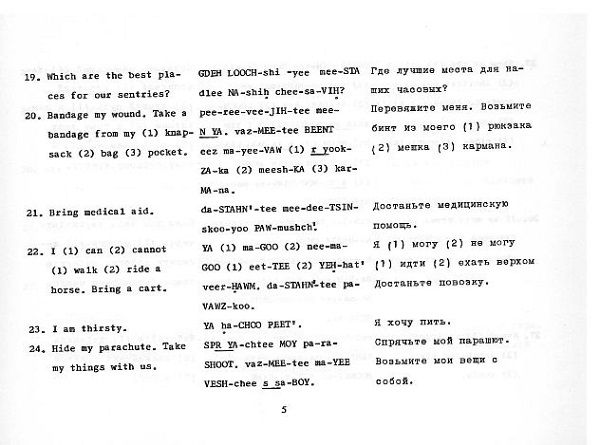 This is what I don’t get about phrase books: If your Russian is this bad, how on Earth could you possibly understand the replies? 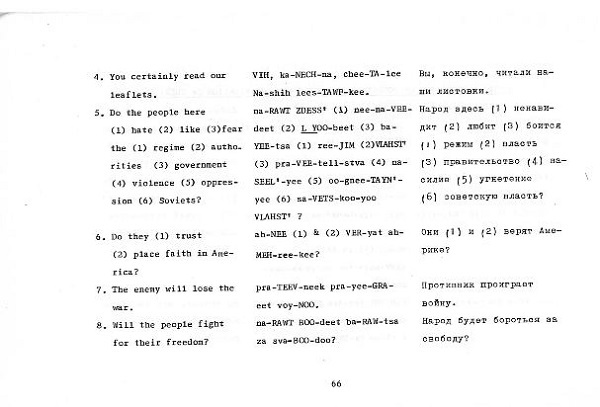 “Should the enemy spies or informers be liquidated?” It’s not exactly small talk. Well my first thought was a Government Depository Library should own this. There are only two full ones in the country. The Boston Public Library lost over 1 million documents in 1998 from a horrific flood. If the submitter no longer wants it, then i recommend giving it to them. There mission is to keep every document ever produced by the federal government. Yeah it may be out of date, but its important to the over all collection. “Where are the best places for our sentries?” I would take any answer to that with some salt. “The guardhouse” is probably where they’ll end up if you take their advice! Always the problem with phrasebooks – what’s the point of being able to say all these phrases when you haven’t got a hope in hell of understanding the answers? I particularly like no 9 option 5: We are here to help them in the struggle on the side of GOD. No pretentions there, eh? I agree with Robert- don’t pitch that if it’s only one of two left! Definitely find a GovDocs depository library nearby. It’s not fit to circulate in a public library, but that is an awesome find. 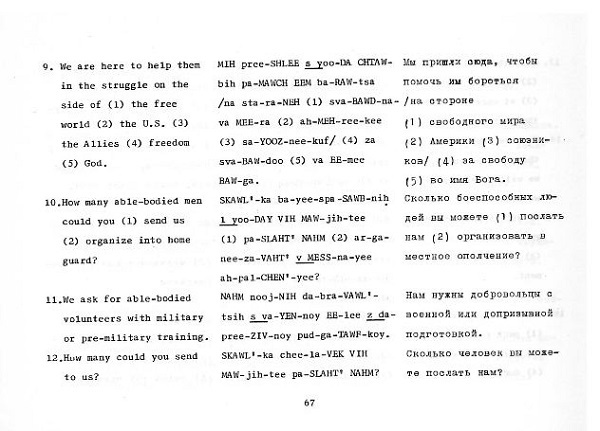 Three people to whom I’ve forwarded this page *want* that deaccessioned book, if possible–one a military collector, one a Russian language expert, and one with Russian friends just for laughs. Why can’t I find anything this good in the secondhand book stalls? The cover has a picture of a confident-looking Westerner in shades pointing and buying a few carpets at the bazaar from a man with a beard & fez, watched admiringly by the Western woman, also in pointy shades, New Look dress and big hat. Actually, it looks like there are 128 libraries in Worldcat with the 1968 edition. The accession number is 1559470. 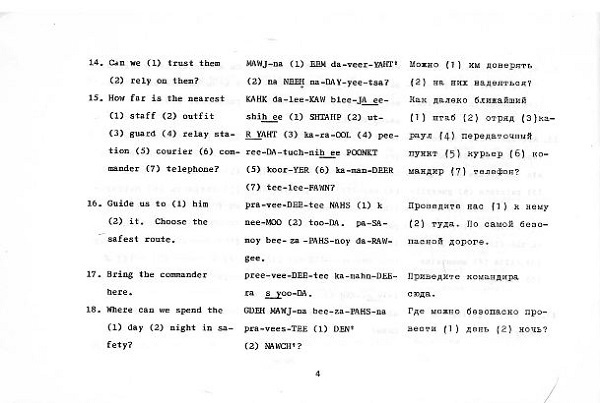 In one of the Russian phrasebooks on interrogating: “About how far from here did the atom shell fall?” Eek. Ralph, I’m panting to read the GI manual you mention in your comment. Title/link? 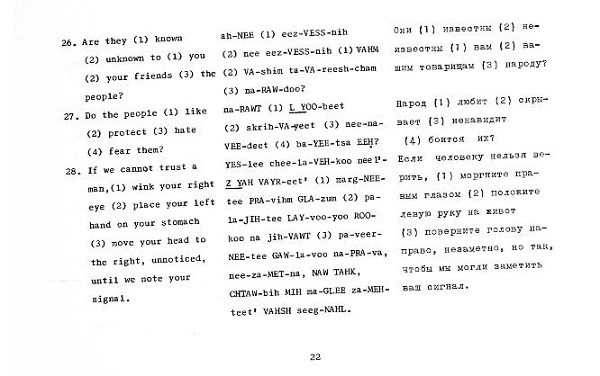 There was a Vietnamese phrase book like this in my local library when I was a kid. i love it. 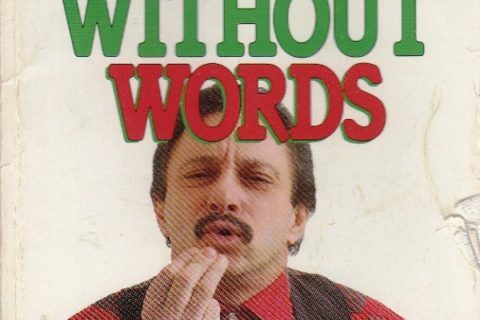 It had lines such as “Please do not shoot, I am an American.” And “Please move your water buffalo.” I wish I still had it. There’s a book about apartheid-era South Africa called PLEASE MOVE YOUR SHADOW. 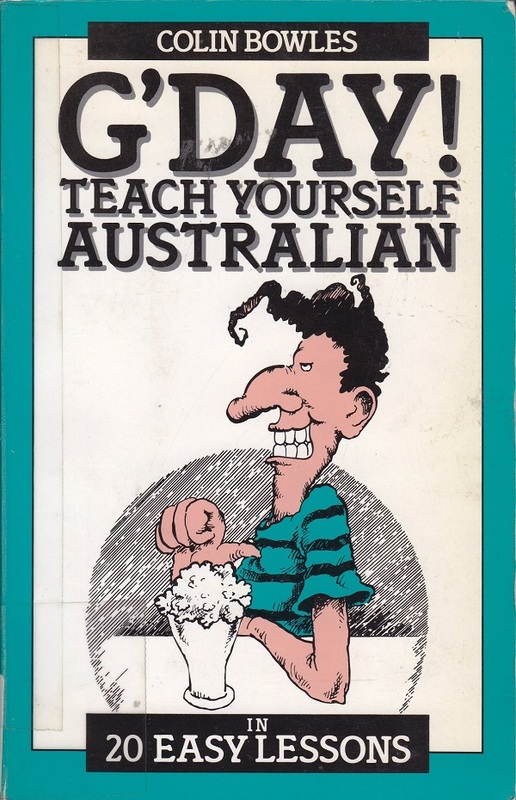 The title came from an Africaans phrase book for speaking to caddies (who were all black) on the golf course. WOW!!! What a great series of comments! My own favorite line is the simple but hilarious: “Hide my parachute.” Is anyone else reminded of the great anti-Commie John Milius movie Red Dawn? The Soviets in that flick didn’t make any great effort to hide THEIR parachutes when they invaded! I remember discarding this when I was a student worker in my first library job ten years ago! Wow! This is a great book. 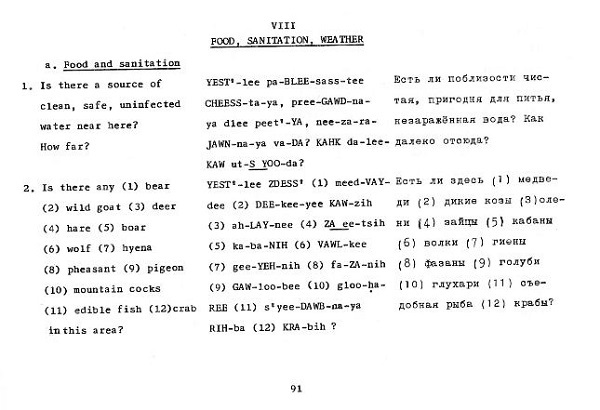 Also remember, not only outdated phrasebooks are amusing to read. I recently bought a Somali phrasebook for myself (as I have some Somali friends from being voluntary help at the local Red Cross refugees’ society). Besides the unfortunate reliance on “Tovarisch”, the actual russian isn’t that far from what I leared in the early 1990s. Actually, that was full of “Tovarish” too. But, get off the train in Tomsk and you could probably get quite a long way even today. Wow, I would love that book! Russia does have a problem with hyenas, especially the striped hyena.